Policosanol, pronounced polly-KOH-san-ol, is an extraordinary supplement that can normalize cholesterol levels as effectively as statin drugs but without their side effects. Repeated studies have shown that using policosanol lowers the LDL (or "bad") cholesterol 30 to 35 percent and increases the HDL (or "good") cholesterol 20 to 25 percent. If you have been reading the "High Cholesterol Is a Myth!" type of studies, I'll put the findings for you in a different way. It is true that total the kind of cholesterol that really is linked to high cholesterol is actually a specific size of LDL molecule known as apoA-1, and that cholesterol is not really harmful until it's interacted with free radicals that transform it into oxycholesterol that attracts white blood cells that get trapped in the lining of the blood vessel. Policosanol research has found that this sugar cane supplement protects through these mechanisms, too. If you would like to discuss policosanol in terms of apoA-1, apoB, and inflammation, please leave me a comment or a question. But for this article I'll just explain the supplement in terms most people understand-and that the bottom line for this supplement is that it clearly supports heart health. Policosanol improves circulation, prevents blood clotting, and reduces inflammation in artery walls. That's what you take cholesterol medications to achieve. Policosanol is a mixture of unique plant compounds called fatty alcohols. A fatty alcohol sounds like it should be a nutritional nightmare. After all fat and alcohol are no-no's in heart healthy diet. The reality is that fatty alcohols are a cardiovascular dream. Because these compounds are alcohols, they dissolve in water, and they can be transported through the bloodstream, blood being mostly water. Because they fats, they can emulsify other fats. They essentially keep fat from sticking to the lining of arteries. This keeps it from being hardening in the lining of the artery, keeping the artery open and reducing the reactions that cause inflammation. The primary fatty alcohol in policosanol is a compound called octacosanol. The body can use it to build the myelin that surrounds and protects nerves, and also to help nerve and heart cells operate more efficiently with less oxygen. Like the other fatty alcohols, it lowers cholesterol. This chemical is found in wheat germ, in eucalyptus oil, and in sugar cane, but it is particularly abundant in sugar cane. The abundance of octacosanol in sugar cane probably explains the discovery of policosanol in Cuba. Whatever you make of the political situation of Cuba, it is easy to see why the Cuban government has focused on developing natural therapies for serious health problems for many years. They simply have not had the foreign exchange to buy large quantities of pharmaceuticals. On the other hand, they have trained scientists and an abundance of tropical plant resources, including vast fields of sugar cane. It's only natural that Cuban researchers looked for medicines in Cuba's most abundant crop. Clinical studies in Cuba have evaluated the effectiveness of policosanol in an enormous number of volunteers, about 90,000 in all. The large number of people involved in clinical testing has allowed researchers to get very reliable results about effective doses and expected effects. Unlike almost any other natural product, policosanol has been more extensively tested than any prescription drug for high cholesterol or heart disease. The statin drugs our doctors are so eager to prescribe to us, such as Lipitor, Crestor, Zocor, Mevacor, and LesCol, all work by interfering with the action of a liver enzyme called HMG CoA reductase. This liver enzyme controls the very first step involved in converting excess sugar stored as triglycerides into LDL cholesterol. Most of the cholesterol in your bloodstream, about 85 percent of it, is made by your liver rather than digested from your food. Stopping the very first step in cholesterol production in the liver can drastically reduce your LDL levels very quickly. The problem is that the enzyme that statin medications for cholesterol stop does not just control the synthesis of cholesterol. It also controls the first step of the synthesis of many hormones and an important antioxidant known as ubiquinone or CoQ10. When you take a statin drug, you don't just lower your cholesterol levels. You may also distort your hormone levels. And you deprive your heart of the ubiquinone that protects in case you actually do have a heart attack despite your efforts to control cholesterol. Policosanol does not stop the production of LDL cholesterol. It increases the clearance of cholesterol out of the bloodstream. In this way, the liver continues to make both LDL cholesterol and the building blocks for hormones and CoQ10, but bloodstream levels of cholesterol are kept in check by the liver's processing it into harmless forms. Lowering cholesterol, however, is not the only cardiovascular benefit of taking policosanol. This sugar cane derivative also reduces blood clot formation, reduces inflammation, and prevents the formation of the especially dangerous form of LDL cholesterol known as apoA-1. The way policosanol reduces dangerous blood clot formation is by counteracting a substance known as Platelet Activating Factor, or PAF. This substance makes red blood cells clump together. (It also triggers the bronchoconstriction that causes asthma attacks.) It was discovered by a friend of mine, the late French scientist Jacques Benveniste. Dr. Benveniste and I once had a long conversation on the possibility of a kind of "homeopathic" policosanol that would fight the cholesterol-related changes in the arteries just by preventing oxidation. He died in a medical mishap and did not see his ideas worked out. However, it turns out that preventing oxidation and inflammation is part of the way policosanol works. Cholesterol does not build up like a clog in a pipe. Cholesterol has to be "caught" by white blood cells that themselves get stuck in the lining of a blood vessel. A white blood cell called a macrophage, responding to inflammatory signals, tries to surround and digest a big piece of sticky cholesterol. The macrophage itself gets stuck in the lining of the artery wall. Then another macrophage tries to clear way the first macrophage, and it gets stuck, too. What starts as a speck of LDL cholesterol where it should not be ends as mass of white blood cells that calcify and harden? But if the LDL cholesterol never sticks to the wall in the first place, there is no artery blocking plaque. Policosanol also helps support arterial health by stopping the production of a form of cholesterol of LDL known as apoA-1. Understanding why this is important requires explaining a little about how LDL works. LDL is low-density lipoprotein. It is really a kind of balloon that surrounds cholesterol so the cholesterol can travel through the bloodstream. Cholesterol is not a poison. It is a basic building block of every cell in the body. But it is a fat, and fat does not mix with water. The protein surrounding the cholesterol makes it possible for the cholesterol to circulate. As the circulating "balloon" of cholesterol travels through the bloodstream and cells take the cholesterol they need, it begins to shrink. At a certain size, the outer "balloon" around the cholesterol is just the right size to get stuck in the lining of an artery, not too large, and not too small. This is the size called apoA-1. When you take policosanol, it keeps apoA-1 from getting stuck. Sending cholesterol on its way, it continues to feed hungry cells throughout the body until it reaches a smaller size. This gives policosanol an important advantage over statin drugs. Two statin drugs, Zocor and Mevacor, lower production of LDL overall but increase production of apoA-1. Ironically, they can give you better lab numbers (assuming your doctor does not test for apoA-1, the real cause of cardiovascular disease) even while they make you sicker. Policosanol can counteract this effect. Who Gets the Most Policosanol Benefits? The people who get the best results from taking the standard 10 mg to 20 mg daily policosanol dosage are type 2 diabetics, especially type 2 diabetics who do not take statin drugs. The HMG CoA reductase enzyme that starts the production of LDL cholesterol is especially active when either blood sugar levels or insulin levels are high. That means that if a diabetic does not control blood sugar levels, they will tend to have higher cholesterol. It also means that if a diabetic does control blood sugar levels by any method that increases insulin, they will also have higher cholesterol. Policosanol gives diabetics another way to deal with the basic problem. Another group who often benefit from policosanol is women who have past menopause. In one study, women over the age of 55 had failed to lower cholesterol even though they faithfully followed their low-cholesterol diets. Taking as little as 5 mg of policosanol a day lowered total cholesterol an average of 19.5 percent, lowered LDL cholesterol an average of 26.7 percent, and raised HDL cholesterol by an average of 7.4 percent. Who else benefits from policosanol for cholesterol? If you have either angina (frequent chest pain caused by poor circulation) or intermittent claudication (difficulty walking without pain because of poor circulation in the legs), policosanol may help. You should not stop taking your prescribed medications for these conditions. Collaborating with your doctor, start taking a low dose (5 mg) of policosanol every day and slowly increase up to 10 to 20 mg a day, and see if your pain is not diminished. Reviews of the medical literature confirm that policosanol does not interfere with aspirin, high blood medications, blood thinners, treatments for arrhythmia, diuretics, calcium channel blockers, hormone therapies, thyroid hormone replacement, beta-blockers, digoxin (Lanoxin), antidepressants, anxiety drugs, or treatments for ulcers. There simply are no reports of interactions between policosanol and any prescription drugs. If you are taking any of these medications, you should continue using until your doctor tells you it is safe to quit. On the other hand, there are some conditions that policosanol will not help. Policosanol for weight loss is a myth, although about 0.3 percent of 27,000 participants in a safety study of policosanol did lose weight. That is about how many people you would expect to lose weight "by accident." In that study involving 27,000 volunteers, 22 people dropped out because of diarrhea or stomach pain, which might have been caused by the supplement. However, an equal number dropped out of the placebo group for stomach problems, suggesting that the problem was not policosanol. Is there anyone who should not use policosanol? Even though there has never been a report of a problem with policosanol use by a woman who is pregnant or nursing, just to be on the safe side, don't use the supplement if you are a woman expecting or breastfeeding a child. There is simply no ethical way to run a test that would make sure that policosanol does not harm babies. There is also no research data regarding giving policosanol to children, so, again, don't give this supplement to children who are under 18. Q. Has there ever been a study that failed to confirm the value of policosanol in treating high cholesterol? A. Yes, there was a study done at the Carolinas Medical Center Department of Family Medicine in Charlotte, North Carolina that failed to find a significant benefit for the use of policosanol in lowering cholesterol, but the way the study was designed remind me of American commentator Will Rogers' famous saying about "liars, damned liars, and statisticians." The study found that using policosanol lowered total cholesterol, but that not taking any product at all also lowered cholesterol. However, there were only 40 patients in the study, compared to 27,000 in the studies in Cuba. Moreover, the patients in the policosanol group started with higher cholesterol levels, got less exercise, ate more fatty foods, and drank more than the patients in the the placebo group-and still had lowered LDL cholesterol levels at the end of the study. This doesn't seem like a valid trial to me. The authors of the study make valid arguments regarding the statistical power of the study and their choice of a very small number of participants in the trial because they expected a very strong effect. They just stacked the deck with the patients making poorer lifestyle choices in the policosanol group. Q. You mentioned that policosanol is found in many plants. 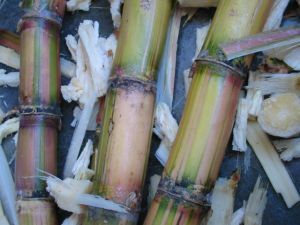 Is there something special about policosanol derived from sugar cane? A. Apparently there is. Policosanol extracted from rice bran has not produced the same dramatic changes in cholesterol levels found in the tests using policosanol from sugar cane. And policosanol contrived to duplicate Cuban products has not worked as well, either. The proof of any product is always in the testing. Try policosanol, and see if it works. If it works for you continue taking it. If it does not, ask for your money back. Since no study has found side effects of the supplement it is a safe and reasonable test. Just give the product at least six weeks to work. Batista J, Stusser R, Saez F, Perez B. Effect of policosanol on hyperlipidemia and coronary heart disease in middle-aged patients. A 14-month pilot study. Int J Clin Pharmacol Ther 1996;34:134-7. Berthold HK, Unverdorben S, Degenhardt R, Bulitta M, Gouni-Berthold I. Effect of policosanol on lipid levels among patients with hypercholesterolemia or combined hyperlipidemia: a randomized controlled trial. JAMA 2006;295:2262-9. Canetti M, Moreira M, Mas R, et al. A two-year study on the efficacy and tolerability of policosanol in patients with type II hyperlipoproteinaemia. Int J Clin Pharmacol Res 1995;15:159-65. Castano G, Fernandez L, Mas R, et al. Comparison of the efficacy, safety and tolerability of original policosanol versus other mixtures of higher aliphatic primary alcohols in patients with type II hypercholesterolemia. Int J Clin Pharmacol Res 2002;22:55-66. Castano G, Fernandez L, Mas R, et al. Effects of addition of policosanol to omega-3 fatty acid therapy on the lipid profile of patients with type II hypercholesterolaemia. Drugs R D 2005;6:207-19. Castano G, Mas R, Arruzazabala ML, et al. Effects of policosanol and pravastatin on lipid profile, platelet aggregation and endothelemia in older hypercholesterolemic patients. Int J Clin Pharmacol Res 1999;19:105-16. Castano G, Mas R, Fernandez JC, Fernandez L, Illnait J, Lopez E. Effects of policosanol on older patients with hypertension and type II hypercholesterolaemia. Drugs R D 2002;3:159-72. Castano G, Mas R, Fernandez JC, Illnait J, Fernandez L, Alvarez E. Effects of policosanol in older patients with type II hypercholesterolemia and high coronary risk. J Gerontol A Biol Sci Med Sci 2001;56:M186-92. Castano G, Mas R, Fernandez L, et al. Comparison of the efficacy and tolerability of policosanol with atorvastatin in elderly patients with type II hypercholesterolaemia. Drugs Aging 2003;20:153-63. Castano G, Mas R, Fernandez L, et al. Effects of policosanol on postmenopausal women with type II hypercholesterolemia. Gynecol Endocrinol 2000;14:187-95. Castano G, Mas R, Fernandez L, Illnait J, Gamez R, Alvarez E. Effects of policosanol 20 versus 40 mg/day in the treatment of patients with type II hypercholesterolemia: a 6-month double-blind study. Int J Clin Pharmacol Res 2001;21:43-57. Castano G, Menendez R, Mas R, et al. Effects of policosanol and lovastatin on lipid profile and lipid peroxidation in patients with dyslipidemia associated with type 2 diabetes mellitus. Int J Clin Pharmacol Res 2002;22:89-99. Chen JT, Wesley R, Shamburek RD, Pucino F, Csako G. Meta-analysis of natural therapies for hyperlipidemia: plant sterols and stanols versus policosanol. Pharmacotherapy 2005;25:171-83. Connor SL, Gustafson JR, Sexton G, Becker N, Artaud-Wild S, Connor WE. The Diet Habit Survey: a new method of dietary assessment that relates to plasma cholesterol changes. J Am Diet Assoc 1992;92:41-7. Crespo N, Illnait J, Mas R, Fernandez L, Fernandez J, Castano G. Comparative study of the efficacy and tolerability of policosanol and lovastatin in patients with hypercholesterolemia and noninsulin dependent diabetes mellitus. Int J Clin Pharmacol Res 1999;19:117-27. Gouni-Berthold I, Berthold HK. Policosanol: clinical pharmacology and therapeutic significance of a new lipid-lowering agent. Am Heart J 2002;143:356-65. Greyling A, De Witt C, Oosthuizen W, Jerling JC. Effects of a policosanol supplement on serum lipid concentrations in hypercholesterolaemic and heterozygous familial hypercholesterolaemic subjects. Br J Nutr 2006;95:968-75. Head KA, ed. Policosanol monograph. Sandpoint, ID: Thorne Research Inc, 2004;9:312-7. Janikula M. Policosanol: a new treatment for cardiovascular disease? Altern Med Rev 2002;7:203-17. Kahn T. Over the counter supplements for cholesterol lowering. Pharmacist's/Prescriber's Letter 2006;22:220105. Lin Y, Rudrum M, van der Wielen RP, et al. Wheat germ policosanol failed to lower plasma cholesterol in subjects with normal to mildly elevated cholesterol concentrations. Metabolism 2004;53:1309-14. Mas R, Castano G, Fernandez J, et al. Long-term effects of policosanol on obese patients with Type II Hypercholesterolemia. Asia Pac J Clin Nutr 2004;13(suppl):S102. Mas R, Castano G, Fernandez J, et al. Long-term effects of policosanol on older patients with Type 2 diabetes. Asia Pac J Clin Nutr 2004;13(suppl):S101. Mas R, Castano G, Illnait J, et al. Effects of policosanol in patients with type II hypercholesterolemia and additional coronary risk factors. Clin Pharmacol Ther 1999;65:439-47. McCarty MF. Policosanol safely down-regulates HMG-CoA reductase-potential as a component of the Esselstyn regimen. Med Hypotheses 2002;59:268-79. Menendez R, Amor AM, Rodeiro I, et al. Policosanol modulates HMG-CoA reductase activity in cultured fibroblasts. Arch Med Res 2001;32:8-12. Menendez R, Arruzazabala L, Mas R, et al. Cholesterol-lowering effect of policosanol on rabbits with hypercholesterolaemia induced by a wheat starch-casein diet. Br J Nutr 1997;77:923-32. Menendez R, Mas R, Amor AM, et al. Effects of policosanol treatment on the susceptibility of low density lipoprotein (LDL) isolated from healthy volunteers to oxidative modification in vitro. Br J Clin Pharmacol 2000;50:255-62. Murphy KJ, Saint DA, Howe PR. Lack of effect of sugar cane and sunflower seed policosanols on plasma cholesterol in rabbits. Asia Pac J Clin Nutr 2004;13(suppl):S69. Nikitin IuP, Slepchenko NV, Gratsianskii NA, et al. [Results of the multicenter controlled study of the hypolipidemic drug polycosanol in Russia]. Ter Arkh 2000;72:7-10 (in Russian). Noa M, Mas R, Mesa R. A comparative study of policosanol vs lovastatin on intimal thickening in rabbit cuffed carotid artery. Pharmacol Res 2001;43:31-7. Otvos JD, Jeyarajah EJ, Bennett DW, Krauss RM. Development of a proton nuclear magnetic resonance spectroscopic method for determining plasma lipoprotein concentrations and subspecies distributions from a single, rapid measurement. Clin Chem 1992;38:1632-8. Otvos JD. Measurement of lipoprotein subclass profiles by nuclear magnetic resonance spectroscopy. Clin Lab 2002;48:171-80. Prat H, Roman O, Pino E. [Comparative effects of policosanol and two HMG-CoA reductase inhibitors on type II hypercholesterolemia]. Rev Med Chil 1999;127:286-94 (in Spanish). Reiner Z, Tedeschi-Reiner E, Romic Z. Effects of rice policosanol on serum lipoproteins, homocysteine, fibrinogen and C-reactive protein in hypercholesterolemic patients. Clin Drug Invest 2005;25:701-7. Tedeschi-Reiner E, Reiner Z, Romic Z, Ivankovic D. [A randomized, double-blind, placebo-controlled study of the antilipemic efficacy and tolerability of food supplement policosanol in patients with moderate hypercholesterolemia]. Lijec Vjesn 2005;127:273-9 (in Croatian). Torres O, Agramonte AJ, Illnait J, Mas Ferreiro R, Fernandez L, Fernandez JC. Treatment of hypercholesterolemia in NIDDM with policosanol. Diabetes Care 1995;18:393-7. Varady KA, Wang Y, Jones PJ. Role of policosanols in the prevention and treatment of cardiovascular disease. Nutr Rev 2003;61:376-83. Wang YW, Jones PJ, Pischel I, Fairow C. Effects of policosanols and phytosterols on lipid levels and cholesterol biosynthesis in hamsters. Lipids 2003;38:165-70. Red Clover Extract: How Good Is It for the Body?